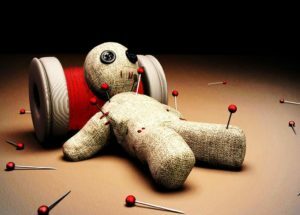 A voodoo doll is created by a practitioner to represent an individual they desire to influence through influential magic, it is believed that what is done to the poppet also befalls the person it represents. 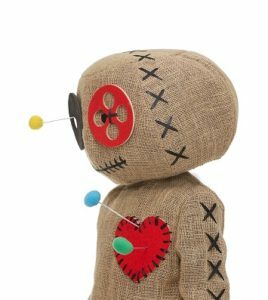 A traditional voodoo doll and poppet are the same. You can use a doll that is already premade that somehow reminds you of the person you are interested in affecting. Bear in mind that a handmade doll is believed to be more powerful because you can put your full intentions into every stitch you put into the doll. Clay: you can mold a simple human figure out of some clay. Fabric: You can get as elaborate as you want or keep it simple, but it is easy enough to make a doll out of some filler and fabric. Wax: you have the option of melting some wax and when it is sufficiently cooled, shaping it into a human shape. For the poppet spell to be at all effective, you will need some additional items. For one thing, you’ll need something that belongs to the individual you want to affect, whether it is some strands of hair, a piece of jewelry, or even a piece of fabric from the individual’s clothing. You may have to get a little clever about how you will get something personal. Step 2: Repeat with each ribbon. 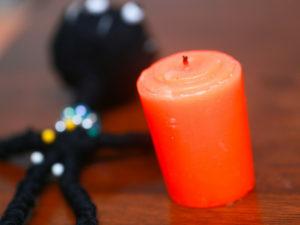 Step 7: Allow the red candle to burn down. Bury the candle outdoors. Hide the doll in a safe place where it will not be disturbed. Make sure the poppet remains intact. Await results. Previous Is It A Love Or Obsession Spell?